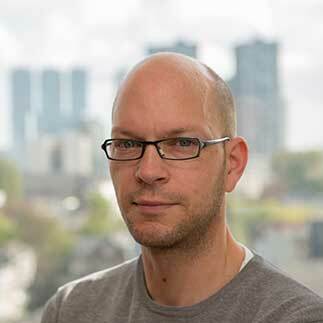 Reinhard Hameeteman is service manager and senior R&D engineer, specialized in modern C++ development and deep learning and has been part of Quantib since the beginning in 2012. He studied Applied Physics at Delft University of Technology and obtained his PhD at the Biomedical Imaging Group Rotterdam of The Erasmus University Medical Center. After finishing his PhD, he became one of the founding three employees of Quantib. At Quantib Reinhard has been responsible for the automatic processing and manual review of large image databases for clinical studies. Next to that, Reinhard is one of Quantib’s deep learning experts and he has provided multiple courses on this subject as well as on new C++ standards. Luckily for his colleagues, Reinhard is in constant search for new combinations of flour, butter, sugar and eggs to create some nice patisserie, which is not only a treat for your taste buds, but Reinhard makes sure his pastry looks amazing as well.